Since 1999, over 69,000 occasional walkers or seasoned runners have crowded the circuit of Port Hercules to merge their sportive efforts to generosity, with the sole purpose of aiding underprivileged or suffering children, by participating in the No Finish Line. Due to important works in Port Hercules, the organising association Children & Future, in collaboration with the Monegasque authorities, propose a new circuit of 1300 m in Fontvieille with a route meandering around the marquee, the Rosary Princess Grace and the Ligures/Guelfes and Papalins avenues. This new and attractive track will reinforce the motivation of participants who will try to reach a new ambitious goal of completing 350,000 Kms in 8 days! The 13,000 expected participants would benefit from a very different circuit and a festive village under the marquee. They will all profit from this convivial place where they will enjoy all sort of animations and festivities while discovering the stands of loyal partners. 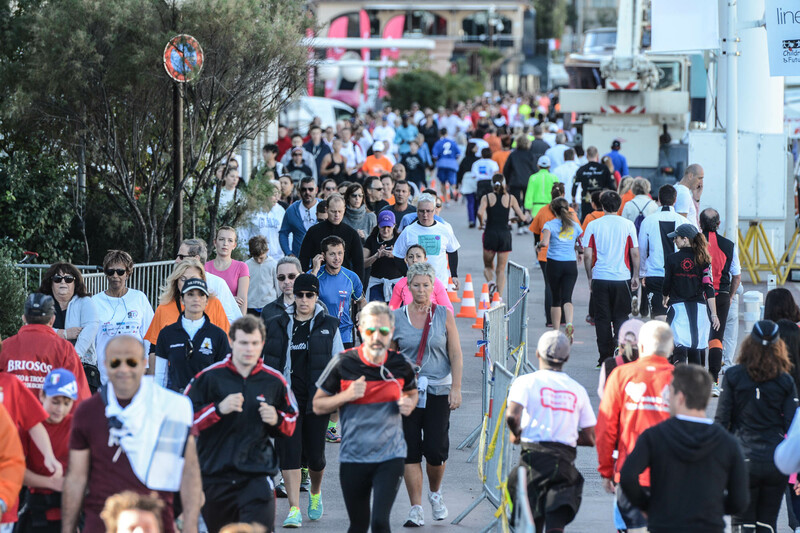 From its inception, the No Finish Line can be proud of attaining extraordinary figures: 69,329 participants, 1,861,153 kms covered and Euro 2,021,678 donated to the benefit of underprivileged children. This year, there is a special emphasis on interactive communication on the social networks. A specialized team will be dedicated 24h/24h to update the race, feeding the networks in a creative and original way, for everybody to follow the No Finish Line in real time. Even with the important changes this year, the No Finish Line still remains a grand charity race, a sportive feast where success is the result of three factors: a simple principle of participation, accessible to all, running or walking on a circuit of 1300 m, open 24h/24h during 8 days, as many times as anyone desires and as many kilometers as they wish; with a noble charitable objective and transparent communication over the funds raised. Thanks to the registrations, donors and sponsors, Children & Future has been giving Euro 1 for each kilometer covered, to support projects in favor of children in need. Registration is open. 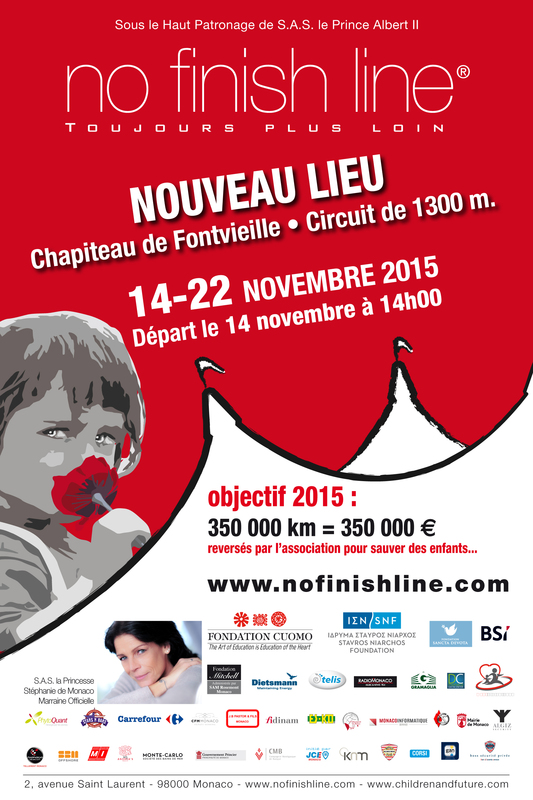 Get your sneakers ready and see you in Fontvieille from November 14 through 22!